So, you’ve been diagnosed with Multiple Sclerosis and, along with all of the emotional turmoil that comes with being diagnosed with a life-long condition, you’re also worried about work. The majority of MS diagnoses happen when people are in their twenties and thirties; a time when you are likely to be at an exciting point in your career, and possibly becoming technically expert in what you do. It is, therefore, completely natural that work will feature in the foggy cloud that is diagnosis. Whether you’ve been with your employer for a long or short time, telling them about MS is not easy. In fact, it is going to be downright awkward! However, as with most fears, addressing this head on will allow you to explore more easily the pros and the cons, as well as pre-empt some of the things that may happen during these conversations. 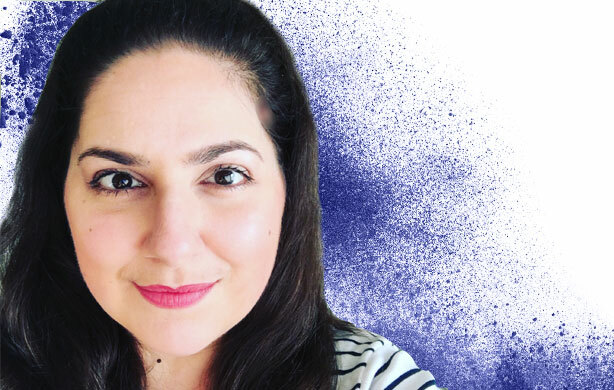 Many people I have spoken to tell me that they would like to be open about their MS, but that they fear the repercussions, the stigma attached to disability and the conversation itself. If you have previously discussed your MS in the workplace, and this didn’t go according to plan or you weren’t supported, this will naturally have an adverse impact on future discussions. I once told a manager about my MS and then returned from annual leave to find that she had told my direct peer. This action broke my trust in her, but eventually I realised this was the action of an individual and not the whole organisation, or indeed all workplace environments. If you have Relapsing-Remitting MS, have long periods in between relapses and do not need any specific work adjustments, you may be tempted not to say anything at all. I understand – I have lived with MS for thirteen years and I only acknowledged myself as disabled two years ago. It may also cross your mind that you don’t want to be treated differently or be a burden on others. It’s important to challenge your perceptions versus the reality of the situation. It’s vital you feel comfortable with your MS before telling others so you feel prepared to answer subsequent questions. In hindsight, I think I most dreaded the conversation itself – what if I wasn’t ready or resilient? I remember telling a manager in a one-to-one meeting shortly after joining an organisation. He leant over, arm outstretched, and told me, “I’m so sorry.” Up until that point, I had felt very confident and, though I managed to make it through the remainder of the meeting in one piece, his very well-intentioned reaction brought out a surprisingly unwanted reaction in me. I learned then that I might have been better prepared if I had pre-empted his reaction and questions. What is it that is holding you back from telling an employer about your MS? Unless you are required by law to disclose MS, the decision is yours. Wherever you are in the world, I cannot stress enough the importance of understanding your basic employment rights as a person with MS. Does the law recognise MS as a disability? Are you protected? If so, how? In the UK, we are currently protected from discrimination by a law, curated by the Equality and Human Rights Commission. We know discrimination still occurs, however we are more able to hold employers to account. The culture of an organisation and its attitude toward disabled people, as well as attitudes within your team, are also likely to influence you. Does your company promote disability? Is there a way of taking a small step toward telling others by talking about disability to test the water? Despite the above examples, I have talked about my MS to managers and colleagues many, many times in my career, and the reaction of others has been quite a relief to me. Telling people about MS isn’t about raising awareness or dispelling myths about MS; this is just a by-product of these conversations. The strongest reason I talk about MS is I feel I should be able to tell my story in the way I want it to be told. This way, the employer and I are clear on the specific adjustments I need and how much better my performance as an employee will be if I have support. There are lots of reasons to tell your manager about your MS but these are the main ones: if you need workplace adjustments and these are put into place, you are more likely to perform better. The reason they are in place is that adjustments create a level playing field with your peers who don’t have our symptoms to contend with. The other benefit is that openness is key in any relationship with a manager. Having said all of this, it is a very individual decision and we’d be naïve to ignore all pros and cons. 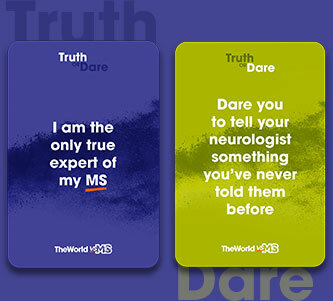 How do we tell others about MS? Over the years, I have developed two types of disclosure conversations, prepared for different audiences. What do I want them to know about my MS? What work adjustments do I need to help me do the job and how can I relate this to specific tasks I do at work? Where can I signpost if my manager wants to know more? I keep the conversation task-based, as an employer’s support is only based on what happens during the working day, and I pre-empt questions they might have. Self-disclosure, in the right environment, gives people a safe environment to ask questions they would not normally have the opportunity to ask you and can build trust between colleagues, though of course, you have to trust them, be ready and in the right mindset.